St Bartholomew the Great Cloister Cafe, Farringdon I haven't been back to St Bartholomew the Great for years. It was in 2006 that I was a member of the London Lawyer's Chorus and sang in Songs of Praise which was filmed at St Barts. Last week, I took the baby down to Farringdon for a wander round and to check out a pub that a friend was thinking of applying for a job at. 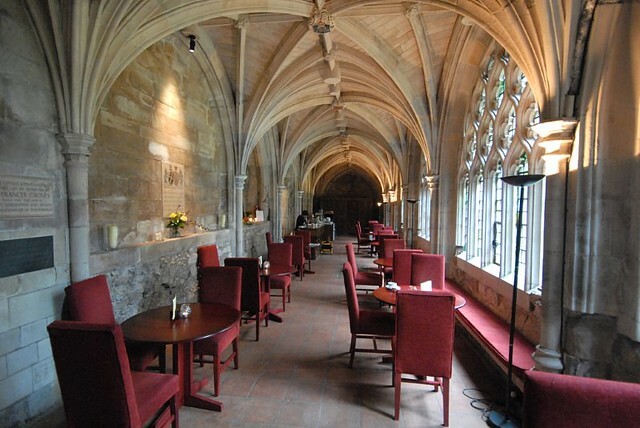 After a lunch of 'sliders' in a rather non-baby friendly pub with good music (I think I've been away from the pub scene too long - these appear to be a 'thing') I ended up pushing open the heavy doors of St Barts and heading into the peaceful serenity of the cloisters. The coffee wasn't bad (not brilliant, but I've had worse) the staff friendly and the location, stunning. Again, not the most baby friendly place I've ever been, but they were very welcoming to her, and I could imagine without a baby whiling away a few hours reading and thinking. 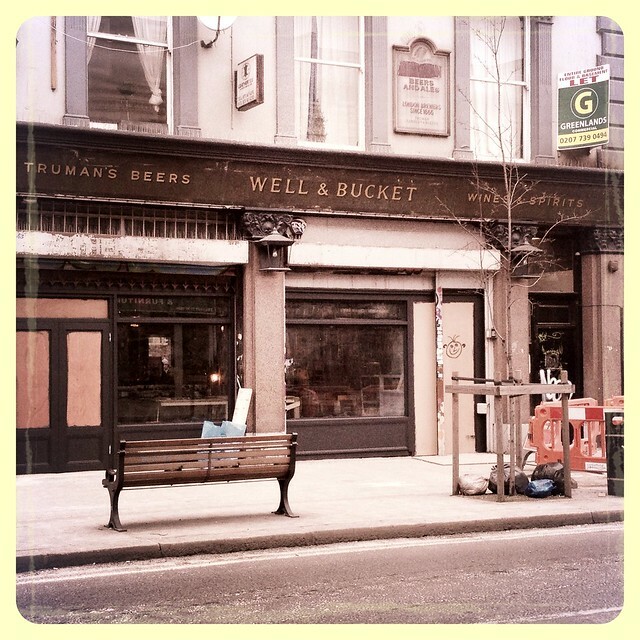 Well and Bucket pub, 143 Bethnal Green Road, Shoreditch - An old Shoreditch pub which is being re-opened by Barworks (no website yet for the pub). I went along to the opening night with a friend (and without the baby, obviously) and enjoyed a couple of margaritas in the basement cocktail bar. I say a couple, but it could have been three. And don't mention the glass of prosecco I drank in the outside smoking area whilst discussing all manner of things with some people we met when it started raining and we all huddled together under the sheltered parts. Obviously it was hard to tell from the opening night whether it will be a success but the place had been nicely done up and the drinks were good. I am told that they will have sliders on their menu come opening. See, sliders really do seem to be a thing.